We're not just planting trees, we're building community! Buying us a shovel? You shouldn't have! A mattock in the mud is worth two in the bush. Buy us a tree! We need 1,000 to make University Heights grand again. A true tree lovers toolkit complete with planting and pruning accessories! 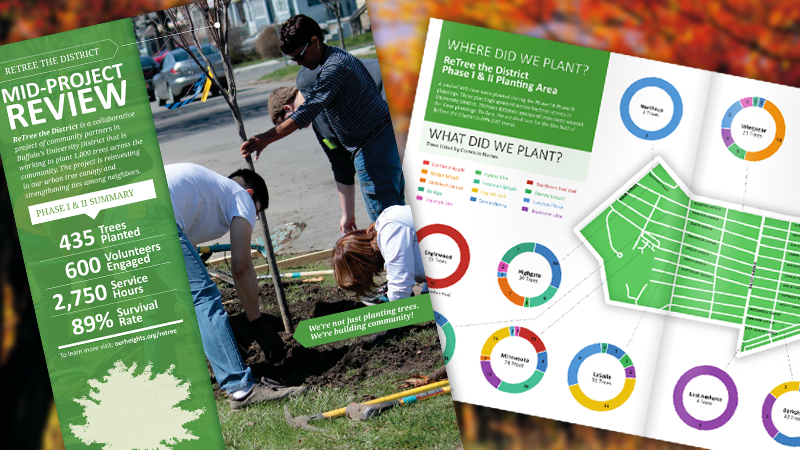 Become a sustaining sponsor of ReTree the District. Planting Trees & Building Community! ReTree the District is a community development initiative in Buffalo’s University District that has planted more than 1,000 trees across the community. The project is reinvesting in our urban tree canopy, strengthening ties among neighbors, restoring our parks and greenspaces, and encouraging hands-on volunteerism. 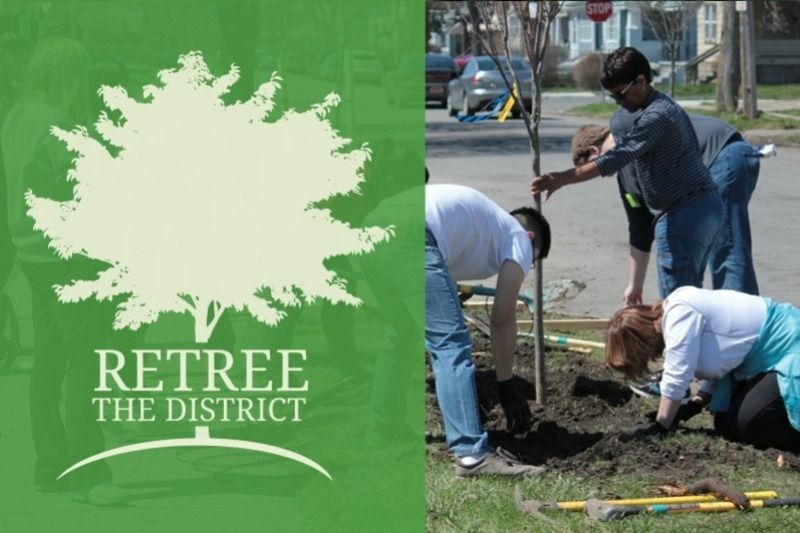 Started in 2014 by a group of community partners in Buffalo's University District, ReTree the District was a response to the significant loss of street trees along neighborhood streets from disease, weather, and age. The goal was to plant 1,000 trees across University District over two years. To date, the project has planted 1,080 trees and continues to plant over a hundred trees each year with the goal of a fuller and healthier tree canopy. Over the course of the past three years the Tool Library has engaged over 2,000 volunteers who have invested more than 4,500 hours of service in the community and has raised over $20,000 to purchase trees. 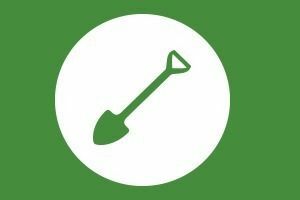 While the Tool Library will continue to plant trees beyond the initial 1,000 tree goal, additional efforts will also focus on tree stewardship and maintenance of the newly planted trees. 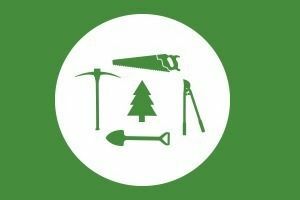 To increase survivorship rates and increase community knowledge, the Tool Library has hosted several hands-on tree stewardship workshops throughout the neighborhood. Dozens of block club members, business owners, and area students have all taken part in these workshops. The Tool Library is also an active partner of the CommuniTree Steward Program. CommuniTree is a city-wide initiative sponsored by the Buffalo Green Fund that brings together partners like the City of Buffalo Department of Parks & Recreation, the Cornell Cooperative Extension, Re-Tree WNY, Olmsted Conservancy, and Wendel Companies to train and empower residents to properly care for and maintain trees in parks, public spaces, and along streets. 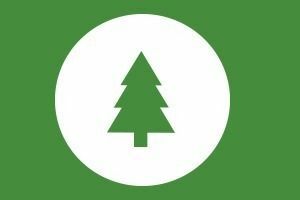 Our Mid-Project Review provides an overview of what ReTree the District has accomplished so far, and how it plans to continue improving operations, volunteer experiences, and tree survival rates through the second half of the initiative through the use of mobile technology and integrated feedback. The mission of the Tool Library is to provide communities with the tools they need to create the change they want. 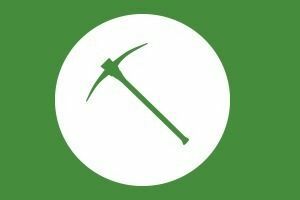 The Tool Library accomplishes its mission through the work of its members and the partnerships it builds with block clubs, community nonprofits, businesses, educational institutions, and local government. A membership to the tool library gives individuals and groups access to an inventory of thousands of tools for one small annual fee. Sharing resources in this way allows communities to build wealth by lowering costs typically associated with community development projects. From planting trees and building community gardens to fighting blight with public art and reclaiming public green spaces, the Tool Library provides citizens with a platform to improve the world around them.